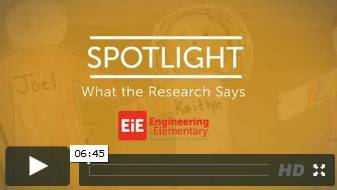 Three years ago, in August of 2012, EiE launched a new research project called “Exploring the Efficacy of Elementary Engineering,” or E4 for short. 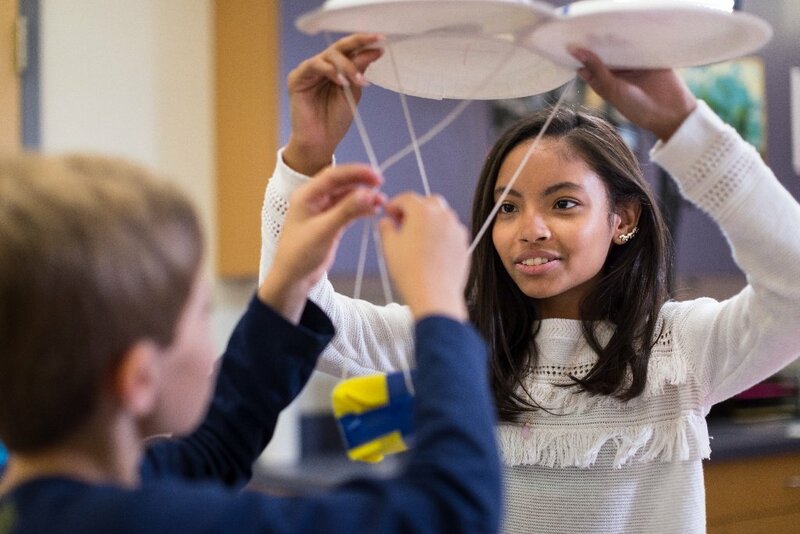 It’s what researchers call a “gold standard” efficacy study—a controlled research study designed to tease out exactly what it is that makes an elementary engineering curriculum effective. The large-scale investigation is supported by a $3 million grant from the National Science Foundation (NSF). This month, our research team wraps up the “field work” phase of the E4 investigation. Our crew has been collecting data from nearly 600 classrooms in three states (Maryland, Massachusetts, and North Carolina). In other words, we're following more than 14,000 students as they have their first experiences with classroom engineering. Big Study, Piles of Data! With such a large study, the data are piling up in our Boston headquarters! 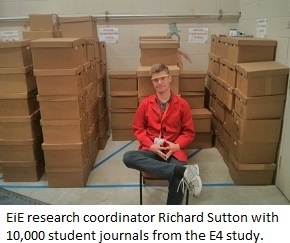 The materials we’ve collected for E4 include 148,235 student assessments, of which 18,975 are multi-page student engineering journals . . . not to mention 1,464 hours of videotape. We've already shared some preliminary results from E4 on the blog, including a description of the assessments we designed for the study, and findings on how teachers respond to failure, but we’ll spend the next year really digging into the data. Do Critical Components Make a STEM Curriculum Effective? Does that mean students who tackle an engineering design challenge without first reading a context-setting storybook might be less engaged, or learn less effectively? That’s the kind of question E4 hopes to answer using the “controlled research” approach. Over the past two years, some of the classrooms in our study have been learning with EiE curriculum units; others with a second set of curriculum units, developed by our team, that lack the critical components. Those thousands of student assessments currently piled in our storeroom will help us compare the two curricula. 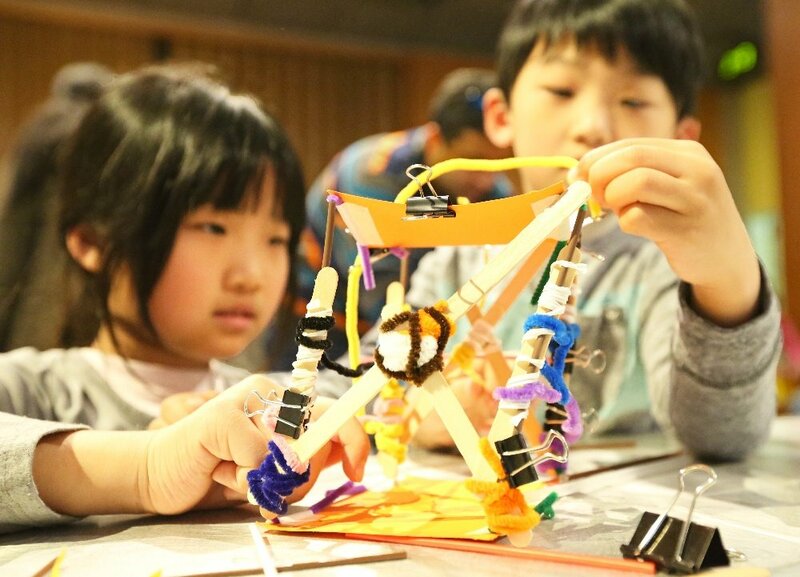 Besides investigating what makes an engineering curriculum effective, E4 is also trying to tease out what kinds of support and resources teachers need if they’re going to be successful teaching engineering. 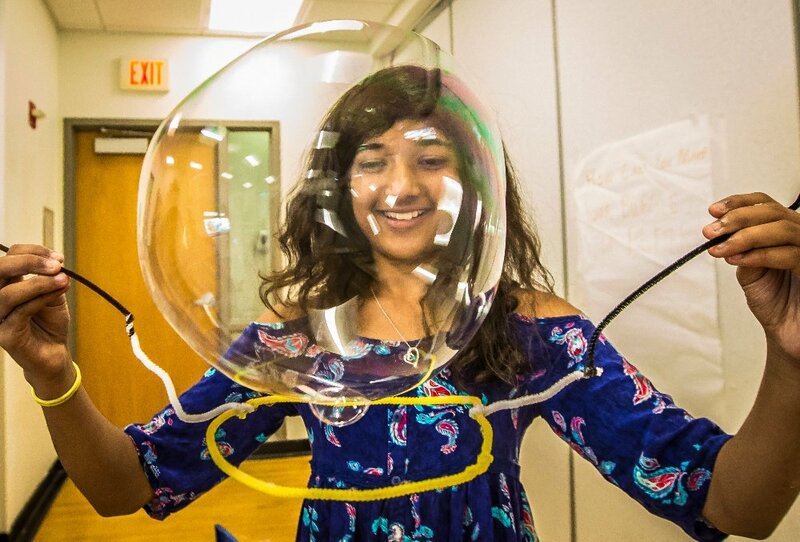 In the 2012 National Survey of Science and Mathematics Education, more than 90 percent of elementary teachers reported feeling not highly prepared to teach engineering; we want to help change that. 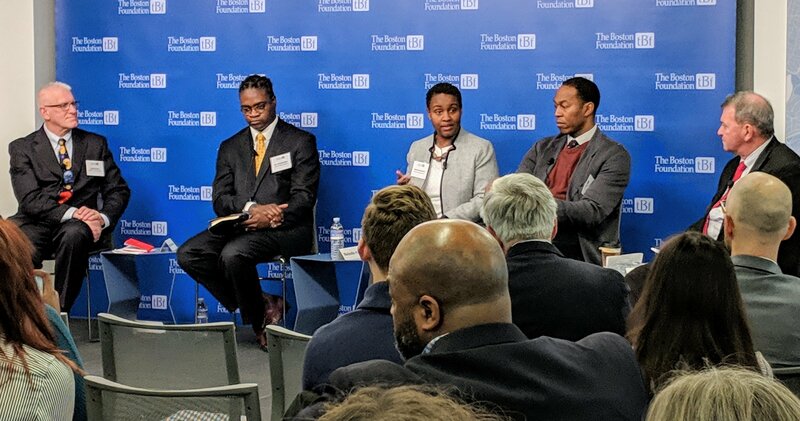 We’re also taking a careful look at how instruction in engineering impacts children from population groups currently underrepresented in engineering fields, including women and some minority groups. A controlled study calls for strict confidentiality, so for the past two years we’ve said little about E4. We’re excited to lift the curtain and start sharing our findings. Watch this space!